There may be legitimate fears Pulisic will be constantly loaned out and fail but this is ultimately a good move for both sides. American starlet Christian Pulisic is Premier League bound. Chelsea and Borussia Dortmund have agreed to a £56.7 million deal to send the 20-year-old American to England for the start of the 2019/20 season, remaining with Dortmund for the second half of this season. Pulisic’s fee is the highest ever paid for an American, the third highest in Chelsea history, and is among the top 10 largest transfer fees in Premier League history. Americans are very familiar with Chelsea’s “loan army”, the staggering amount of young players the club buys and simply loans out hoping to cash in on it. American defender Matt Miazga is currently one of those players, now loaned out to Nantes. In total, 39 Chelsea players, including Pulisic is on loan to another team. Given Pulisic’s age, it’s almost natural to immediately group him in among those players. Not surprisingly, as soon as the deal was announced fans took to twitter to exactly that. No playing time for a year, slated as a failure by English press, out on loan the next, back to England to never play for Chelsea, sold on at a moderate loss in the January 2021 window, in time to regain form and lead the USMNT to victory in 2022. I guess it's fitting that he starts out on loan. He will be great wherever he ends up on loan. Chelsea’s loan army is far more of a business model than a player development model. Whereas most clubs use loans as a means of giving young players first team experience in hopes that they can one day break into the first team, Chelsea’s goal is to sell these players, whom they’ve signed for very cheap, for a profit. On Chelsea’s current roster, only four players (Ruben Loftus-Cheek, Ethan Ampadu, Emerson, and Andreas Christensen) have survived Chelsea’s loan army to break into the first team. However, those four players have started just 22 games combined this season, with only two of those starts coming in the Premier League. On the profit side, it’s been a completely different story. The club has been wildly successful using young players to generate an additional source of revenue, which is essential in the FFP era. Over the past seven years the club has used their loan system to sell the likes of: Juan Cuadrado (£17.3m), Nathan Ake (£20m), Mohamed Salah (£14.5m), Patrick Bamford (£6m), Thorgan Hazard (£5.8m), Oriol Romeu (£5m), Romelu Lukaku (£28m), Ryan Bertand (£10m), Andre Schurrle (£22m), Kevin De Bruyne (£16.5m), and Daniel Sturridge (£12m) among many others. Sure, some of those guys were big names that Chelsea spent big on but never caught on. But that doesn’t mean that Chelsea isn’t still making money off guys you haven’t heard of. Hell, after the Pulisic deal was announced Wednesday news broke that Wolves are in talks to sign striker Tammy Abraham, who has 16 goals this year in a loan spell with Aston Villa, for a reported £17 million! It’s a great and successful business model. Well I got news for you folks, that’s not what’s going to happen to Pulisic. As previously mentioned, Pulisic is now Chelsea’s third most expensive signing ever. They aren’t spending that kind of money to loan him out. He comes in with 23 international caps, 20 Champions League apperances, and he’s German Cup winner. He’s not just some kid. He’s far too valuable to the club in two areas, off the field, and more importantly, on it. Off the field, Pulisic opens up an entire new market for Chelsea, the United States. The Premier League is a global game these days and adding a footprint where you can is important. Everton have a much larger than expected fan base in the United States because of Tim Howard and Landon Donovan. Tiny Fulham have American fans because of Brian McBride and Clint Dempsey. I became a Manchester United fan when they signed Tim Howard. United are huge in South Korea because of Ji-Sung Park. It matters. I made my first ever trip to Goodison yesterday via a fandom which began with Howard and Donovan a decade ago. Chelsea already developed an American following upon Jose Mourinho’s dominance in the mid 2000s but that was 15 years ago. There’s a whole generation of American fans who have only been turned on to the league when NBC took over U.S. television rights in 2013. The way they cross promote their sports, it won’t be uncommon to see Pulisic constantly being promoted on Sunday Night Football broadcasts. That £56.7 million fee will be recouped in shirt sales in no time, but that only happens if Pulisic remains with Chelsea. Pulisic is an attractive name because of his branding but he’s also really attractive to Chelsea because they need him! It’s no secret that Eden Hazard and Real Madrid have mutual interest in each other, given Real’s struggles this season you can expect them to come calling even louder this summer. Besides Hazard, Chelsea’s other wingers are Willian and Pedro, both of whom are on the wrong side of 30. Chelsea desperately needs new fresh legs out wide and that’s exactly what Pulisic brings. 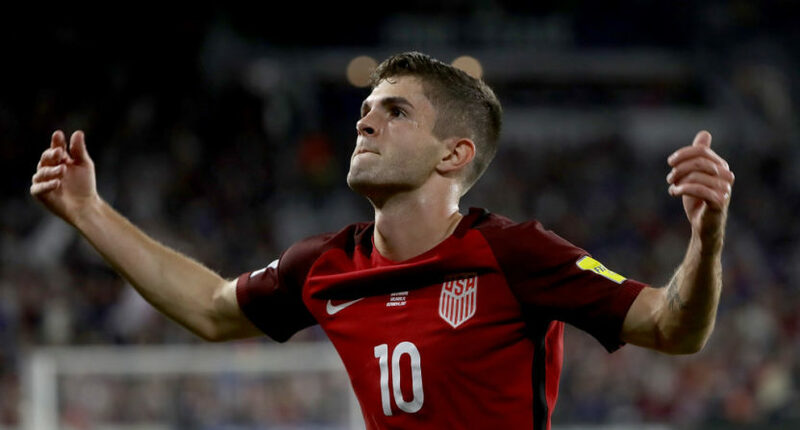 For Pulisic, the timing seems right. It’d be wrong to say that he’s developed all he can in Germany, but at just 20, it’s a good time to jump to a new league and add another element to his game. Moving from Germany to England isn’t easy (ask Henrikh Mkhitaryan) but Pulisic has looked good in his Champions League matches against English opposition. Pulisic is going to get his playing time at Chelsea but for argument sake, let’s say he got loaned out next year. That wouldn’t be the end of the world. He’d be 21 and wherever he was loaned to, he’d be playing! That’s more than you can say for him in his current situation at Dortmund. Going into the season, Pulisic looked to be a very important part of Lucien Favre’s squad but that just hasn’t happened. Pulisic has started just five league games this year and only one since September. There’s a combination of reasons behind that. He picked up an ankle injury in September that he never fully recovered from and told the club he wouldn’t be signing a new contract. More importantly, there was the emergence of Jadon Sancho. When Pulisic went down in September, young Englishman Jadon Sancho stepped into the team and has never looked back, finishing the first half of the season with six goals and seven assists. Pulisic has been given opportunities since he returned but his one goal and two assists, on a team that has scored 44 goals and has two of the top three scorers in the Bundesliga, hasn’t exactly forced Favre into playing him any more often. Pulisic is the player he is because of the training he received at Dortmund. It’s always been his dream to play in the Premier League and now is the time to make that move. The winter break will give him a chance to fully heel his ankle and there’s no doubt he’ll show what kind of a player he really is. Chelsea and their fans will be able to rejoice that they’re getting a great young players, and Americans won’t have to worry about him being the latest member of the famed loan army.